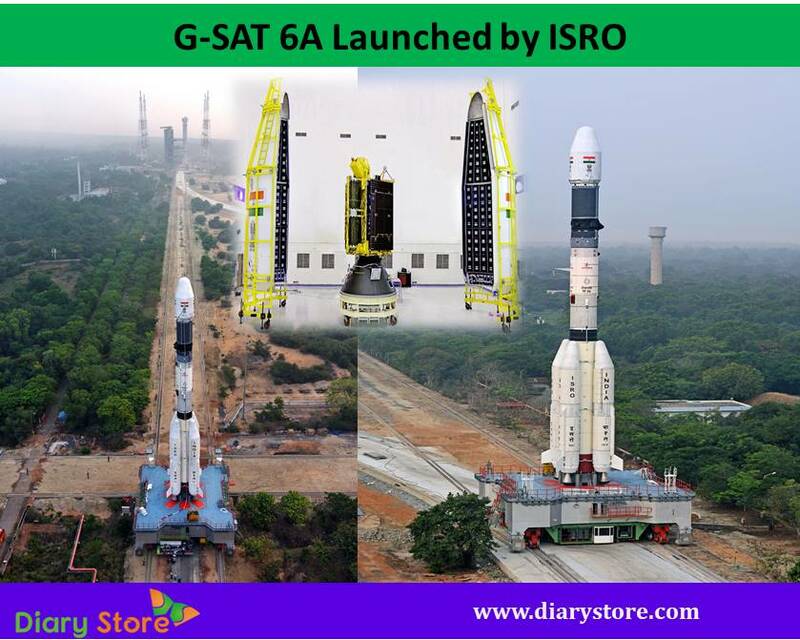 India successfully launched, once again, yet another communication satellite G-SAT 6A into space on 29thMarch 2018 at 4.56pm (local time). The special feature of the satellite G-SAT 6A is its heaviness at 2140 kg, much higher than its predecessors and its improved ability to support Indian Defence forces in communications. The launch took place at SHAR centre, Sriharikota by the Indian Space Research Organisation in the state of Andhra Pradesh. The satellite was jettisoned into Geosynchronous Transfer Orbit (GTO) by the launching vehicle GSLV-F08 which is a three stage rocket. The satellite is conceived to render its services for a minimum period of ten years. 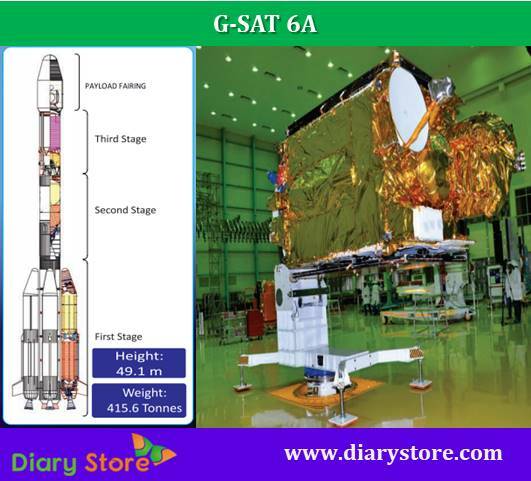 The GSLV-F08 is capable of launching satellites weighing two tonnes into GTO through three stages. It is equipped with an indigenously developed cryogenic upper stage engine. Cryogenic engines are designed to provide excellent support to GSLV rockets in their final stages while keeping fuel loads relatively low. The cryogenic stage is considered as more essential because almost fifty percent of push is received by the rocket from the cryogenic engines. Although the G-SAT 6A is similar to its precursor G-SAT launched three years ago, it is the bigger size of the antenna of 20-metres that plays a key role in augmenting the communication through handheld devices among Indian armed forces deployed in remote areas of the country. The antenna would unfurl like an umbrella soon after the satellite reaches its conceived orbit. The mutual transmission of data in point-to-point satellite communication through small handheld devices among security forces would be effectively augmented, by the combined efforts of the two satellites which set a platform for development of advanced technologies. The satellite is flanked by s-band and c-band transponders. The milestone launch of GSLV-F08 has reinforced the confidence of Indian space scientists for the mission of Chandrayaan-2 to be launched towards the end of 2018. With redoubled enthusiasm, Indian scientists are tying up their waist belts to make ready the next launch vehicle GSLV-F10 weighing 3290 kg, for Chandrayaan-2, a very high profile second lunar mission. India is eagerly waiting for the launch of Chandrayaan-2 which aims to land on the surface of the moon and more excitedly, the images and the data transmission to be conveyed by the rover that roams on the lunar land.